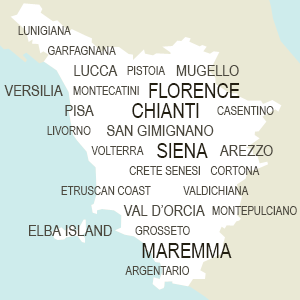 Are you planning a holiday in Tuscany and would like your independence? Then you can choose a holiday home in Tuscany, that will offer you a great deal of freedom and the convenience to feel like at home. Once you have received the keys from the owners you will have the house all for you! You can enjoy cooking in your Tuscan kitchen, or simply relax in the garden before a stunning panorama! Holiday homes and apartments in Tuscany can be found all on their own, or within beautiful villas or rustic farmhouses, and can be rented for long or short term periods. They are perfect for family reunions, holidays with friends and business meetings. Rental homes in Tuscany can be located in the main art cities as well as in the countryside or near the seaside. These vacation homes are fully furnished and completely equipped with all comforts, as a private house in Tuscany.